This second-floor 2 bedroom at Trappeurâs Crossing might catch you by surprise. The distinguished furnishings inside this beauty are paired nicely with the original design of the property. Inside youâll find granite tiled counters, overstuffed living room furniture including a leather sofa, pendant lighting and star-paneled bar stools. This corner unit enjoys some of the best natural lighting on the property, set apart and sheltered away from the noise and activity of the common area. Two covered balconies allow you to enjoy the outdoor space year-round. 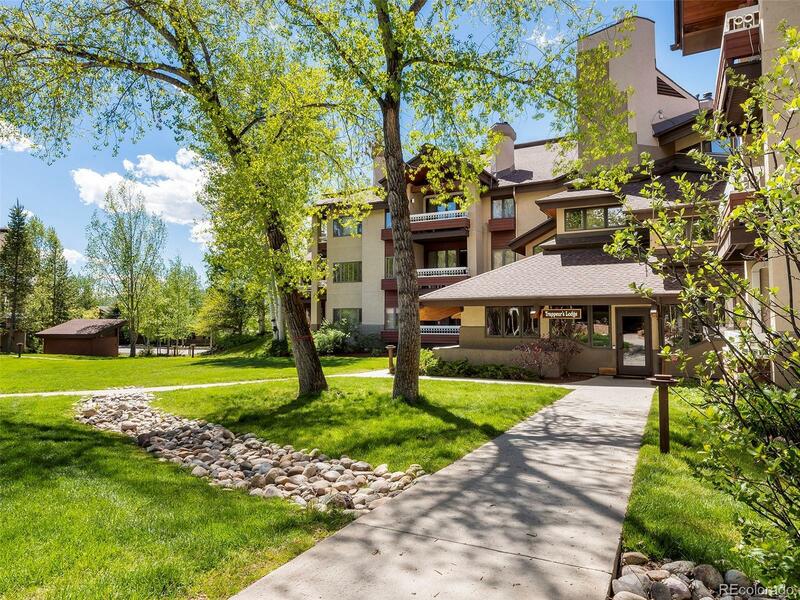 Owners and guests of Trappeurâs Crossing enjoy access to an indoor/outdoor heated pool, multiple hot tubs, owners lounge, fitness center, tennis courts and outdoor fire pit. Here youâll also enjoy private on-call shuttle service conveniently whisking you to the slopes and downtown. With an on-site front desk and concierge services, your every need will be met.